It’s 1979, and a two-year-old Michael Fassbender is moving with his family from Heidelberg in Germany to Ireland. Just across the Irish Sea, principle photography at a London studio had just been finished and the world was being introduced to the horror of Ridley Scott’s Alien, a franchise that would set the bar in sci-fi thrillers for years to come. For two decades the alien would return to scare audiences and cash its cheques while on the sidelines a dialogue about technophobia would emerge surrounding the androids. What do our prejudices lead us to fear? Are our own creations more dangerous than the xenomorphs? What does creating intelligence mean? Who is really evil: the creature following its instincts and drives, the programmed humanoid or the people willing to destroy everything at even the hint of personal survival or gain? On set for that film was the accomplished Ian Holm, playing Ash, an android whose directives from his creators at Weyland Yutani are at odds with the survival of his human crewmates. Without going into spoiler territory, it’s this one line of dialogue that neatly ties a bow on the connection between Prometheus and Alien. 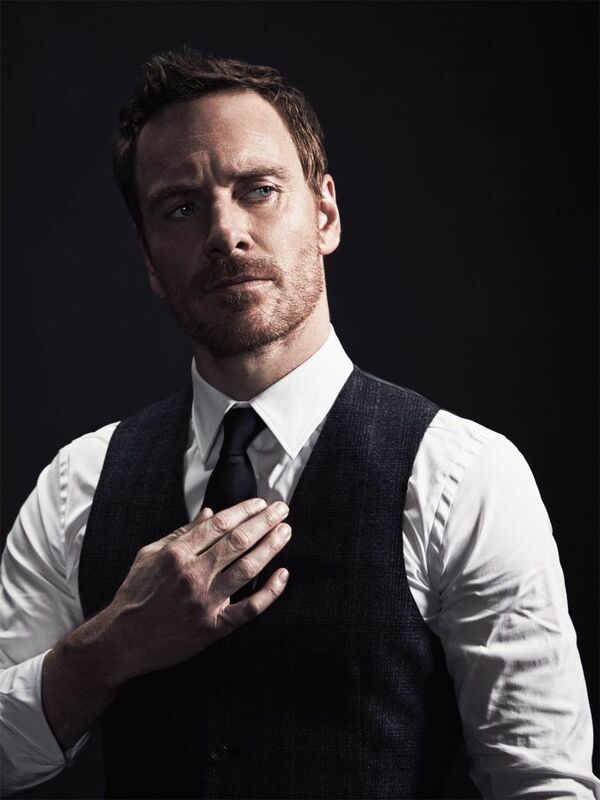 After watching Fassbender in Covenant you’ll know exactly what I mean. Ash raised more questions than any film android before him. In fact the androids of the Alien franchise would become touchstones in academic circles of how humans deal with the ‘other’. The next time this sort of intrigue would be piqued would be three years later when Ridley Scott returned with Blade Runner, a movie that still has fans arguing to this day. As the following films and their directors have plumbed the depths of what’s possible to be done with the xenomorph in terms of horror and action (with varying results), the discussion surrounding androids, creation and origins seemed destined to come to the forefront of the Alien narrative once more. There was no one better for the job than Scott himself. He recognised that maybe there’s more to be done with the franchise than just more scares from the alien. Creators have more freedom to mess with their creations than anyone else. They aren’t as attached to their creations remaining static. People who take the helm of a big IP either aren’t allowed or don’t have the balls to swing the story in a new direction. For example, George Lucas didn’t remake the original Star Wars trilogy when he made Episodes I, II and III. Whether you like them or not, they’re more original than the Disney-owned sequels that are starting to infest cinemas now. Thirty-three years after the first film was released, Prometheus hit cinemas starring Noomi Rapace, Charlize Theron and several generations of proto-xenomorphs to keep people guessing. But while it was nice getting an insight into the origins of the Space Jockey, it was David the android who carried the movie. Somehow Fassbender had stolen the show from the aliens that everyone had paid to see in the first place. David offered more mystery and intrigue than the human characters could. He wasn’t as brazenly antagonistic as Ash ended up being, or straight up and down as Bishop or Call. But he appeared to be the only character that knew what he was doing. You knew you could rely on David to run diagonally away from a rolling out-of-control spaceship if it came down to it. 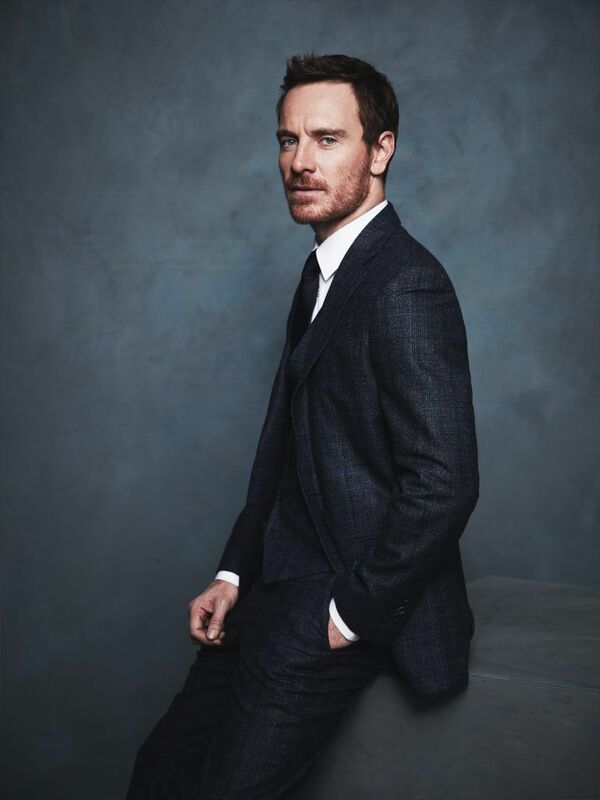 Fassbender decided early on, at the age of 17, that he wanted to become an actor. At 19 he made the jump to London to follow his dream and ending up doing stage shows. He also earned money working as a bartender and postman before his career properly took off. You’ve been watching him for years without knowing it. His first onscreen role was in the Tom Hanks and Steven Spielberg award-winning miniseries Band of Brothers. He then got further mainstream success as a warrior in 300, directed by Zach Snyder and based on Frank Miller’s comic of the same name. You know the one, the one with a costume supply shortage of shirts, an overabundance of baby oil and slo-mo, green-screen hyper action. The time for bit roles was over. After this he got his first recognition as a serious actor when he scored the lead role in the 2008 British-Irish historical drama Hunger, which earned him a British Independent Film Award for his performance. Hopefully this made his 600 calories-a-day diet, that left him looking emaciated, worth it. Then it was off to a crotch shootout with Nazi’s in Quentin Tarantino’s Inglourious Basterds. No doubt this was a dream job for Fassbender, working with the director. Years earlier, he had produced, directed and starred in a stage version of Tarantino’s Reservoir Dogs. 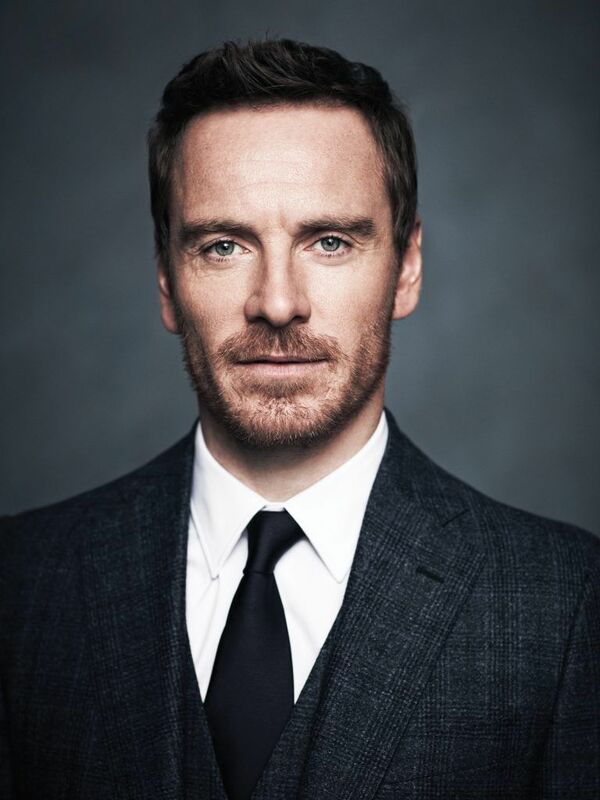 Finally, in 2011, cinema-goers would become familiar with Fassbender as Magneto in X-Men: First Class. There was no doubt at this point that he was a top-shelf choice for Scott’s upcoming Prometheus. 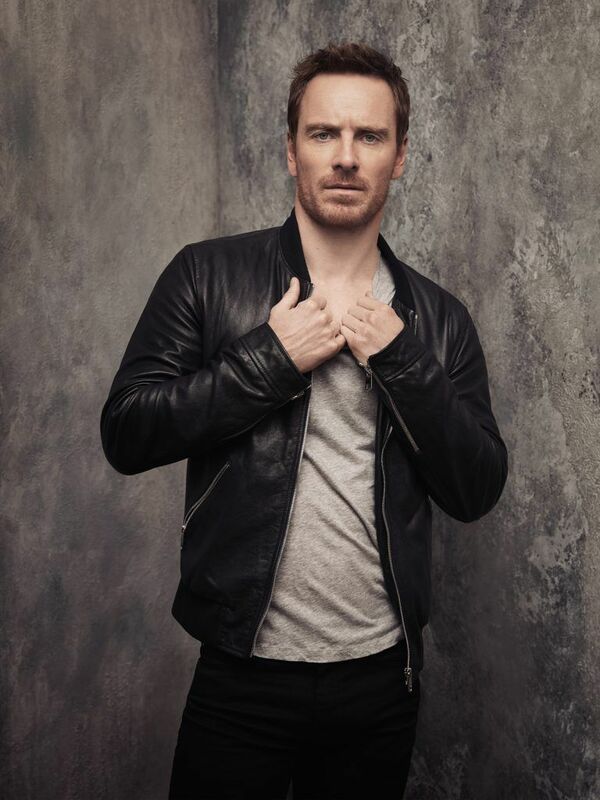 In fact, after the movie hit and infuriated reviewers and fans, everyone would still agree that Fassbender and his character David were the standout highlights of the movie. That’s exactly what happens in Prometheus. 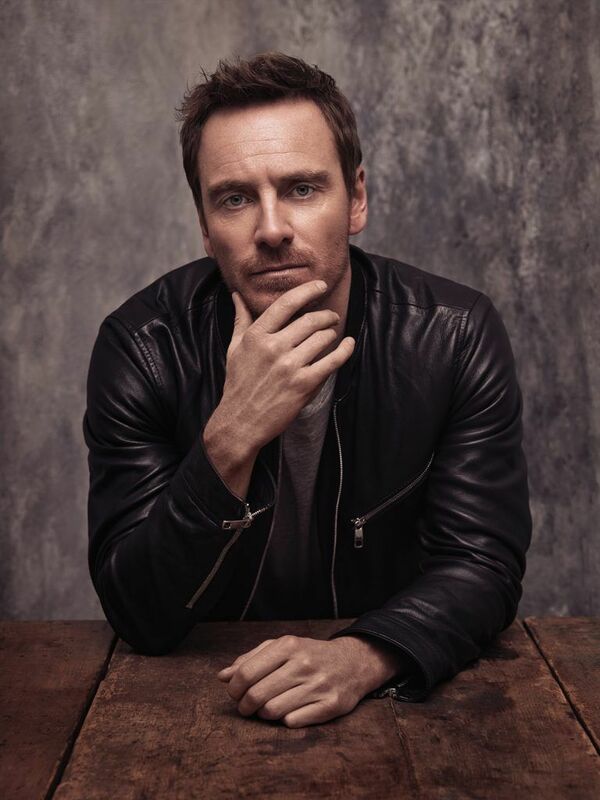 While the cameras follow Noomi Rapace as a stand-in Ripley 2.0, it’s Fassbender who really picks up the torch for the franchise that Sigourney Weaver stoically carried for 20 years. The difference now is that our lead isn’t so black and white, and isn’t so human. Ridley Scott obviously enjoyed working with Fassbender as they worked together again soon after in Ridley’s gritty noir-like film The Counselor. In fact it seems he did such a good job on those two movies, Scott has given Fassbender twice as many roles for Alien: Covenant. He’s bringing back David, as well as an emotionally neutered but enhanced version, Walter. The Peter O’Toole references continue throughout Covenant as well, giving viewers a familiar anchor for David before developing him further. He isn’t kidding either; your audience anchor better be heavy because they take David to some pretty heady heights. In the middle half of the film he’s used to explain the downfall of a race, the downright pornographic designs of H.R. Giger and the rise of the alien. On top of that, he plays the flute with his twin and even has a bit of a smooch. To get the two characters working together, the film crew were able to use some new pieces of tech to track the camera in the same way twice, and not just on straight rails. For Prometheus and Covenant, Fassbender gets to play with the concepts of androids far more freely than his predecessors. Ian Holm’s Ash character in Alien needed to stay as human as possible to avoid discovery and to give a mid-movie twist to the proceedings. David, on the other hand, is allowed to flounce his non-human qualities straight from the get-go. This openness about his identity allows the character to frankly discuss his existence. David is upset that Walter is unable to create. He sees this as an abhorrent act by humans to keep androids down. The disaffected Walter notes that this could have been David’s fault for scaring people with his humanlike idiosyncrasies. Fassbender admits he didn’t watch Holm’s or Henriksen’s android performances when he was first preparing for Prometheus. Although, when he went to work on Covenant, he took the time to watch the originals. In terms of the feel of Alien: Covenant, Fassbender struggles to describe the vibe of the movie. That’s difficult considering that in the lead-up to the film, people were stating that this was a return to Alien’s roots. “I would say that it remains in the universe. We were introduced to the Engineers in Prometheus, but they will play less of a role in this. In terms of its feel as a film, it is probably harking back more to Alien in terms of it being a thriller. I think it will be a lot scarier than Prometheus. Once it starts, it is relentless. But not in a way that you see with a lot of action films, where it is action packed. This is psychological suspense. While the film itself follows the Alien formula for the final scenes, the middle half of the film is where the two synthetics get to shine. The humans are running around terrified the two androids discuss what is becoming of them. Fassbender deftly switches from flamboyant psychopath with an English accent to a stiff and stoic android with an American twang. It’s with these two characters that he expresses his love of the alien. You could say in many ways he appreciates its purity. With that, he closes a loop in a narrative that was started 38 years ago when he was two years old, getting uprooted from one life to another.